Whisk flour, sugar, baking powder, salt and zest together in a large bowl. 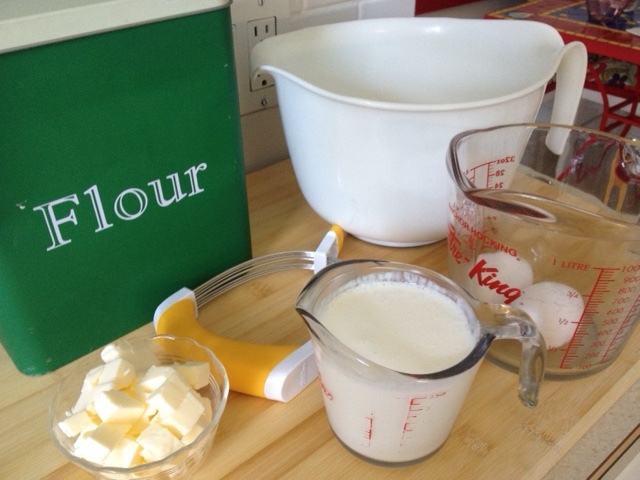 Cut in butter with a pastry blender or two knives until mixture is mealy and butter is the size of peas. Make a well in the centre of bowl. With lightly floured hands, form dough into ball. On a lightly floured surface, knead the dough gently for about 30 seconds. Pat it into a 3/4-inch-thick round and cut it into 8 wedges or use a floured biscuit cutter and cut out rounds. 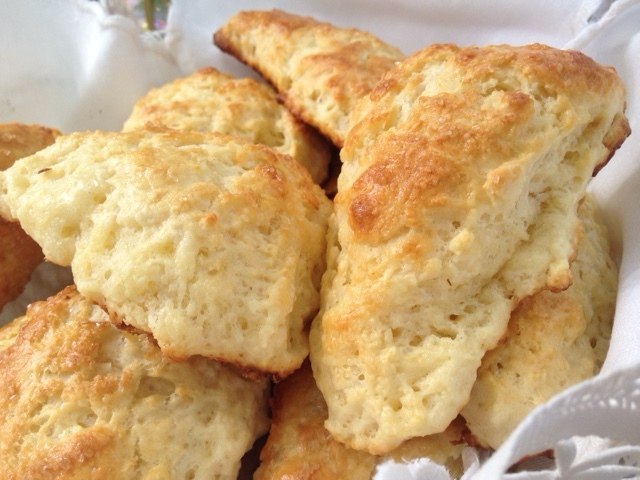 Place scones on an parchment-lined baking sheet and brush scones with the remaining egg and milk/cream mixture and sprinkle lightly with sugar. Bake in centre of the oven for about 10-12 minutes or until golden. Let cool on pan on wire racks. 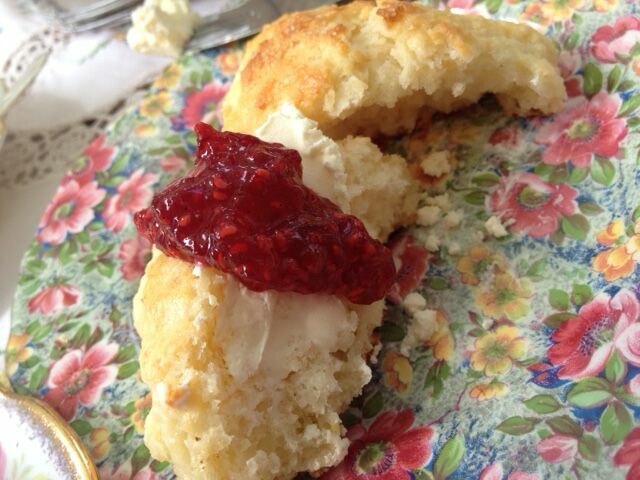 Serve with preserves and dollops of whipping cream.